I have to confess that I just this moment realised that we’re meant to continue our tumblogs through weeks 11 and 12. As we Americans say, d’oh. The Big Bang Theory, a show that I am compelled to watch by virtue of being married to a physicist, does virtual presence. Coincidentally enough, Sheldon chooses this manner of being present in the hopes that he will keep his body alive until his consciousness can be transferred into a computer and can thus be immortal. Of course the virtual presence is foiled in the end by virtue of Sheldon wanting Steve Wosniak to sign his vintage Apple. What struck me about this was that the attitude the other characters had (and thus the audience were expected to have?) 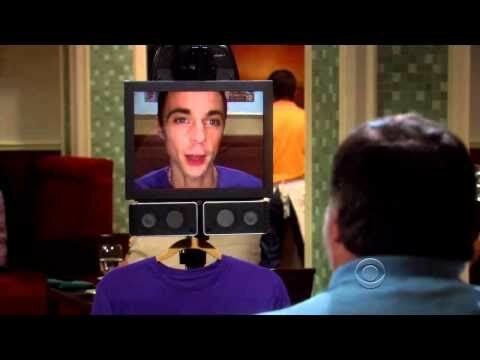 was a long-suffering incredulity about Sheldon’s self-centredness and unquestioning belief in technology. It wasn’t anti-modernism (‘look what kind of trouble tech has gotten him into now!’) or anti-humanism (‘look at his vain attempt to beat death’), but rather a neutral view of tech and perhaps a reaction to humanism–at least centred around one person…Edwards’ subject? An extreme example of the person becoming a machine is the cyberman, something else I’m required by holy matrimony to know all about. In recent years, these have been given a bit of a twist: in one of the revival episodes (10th doctor, series 2, 2006 if you’re a serious anorak), a regular character is turned into a cyberman, but remembers her life as a human. She sees it in a completely dispassionate way and can’t understand why the humans are so distraught. Is this opaquely suggesting the impossibility of Sheldon’s dream of moving an intact consciousness into a machine, devoid of physical presence not to mention bodily chemistry? Or is it just the emotion inhibitor? (And why is there an emotion inhibitor? Because if there wasn’t, the brain would be so appalled at what had happened to its…person…that it would die. In both of these extremes, however, we find another dichotomy–not just body versus mind, but body versus [robot casing, hologram, killing machine]…or, translated into the debate that seems to really be going on, body versus [Facebook identity, avatar, discussion board moderator, wikipedia contributor...or equally: university alumni profile, letter to the editor, report on the main exports of Uruguay...] It’s not just a case of whether the mind (or personality, consciousness, identity, etc.) can be separated from the body, but what it [the mind/etc.] is if that separation occurs. 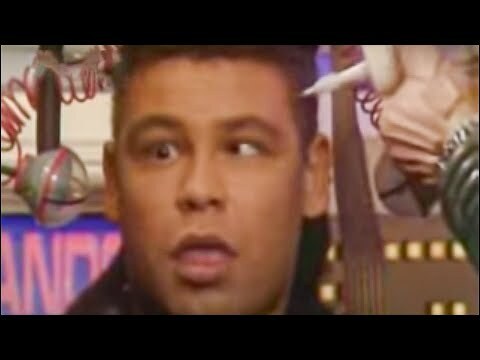 Lister’s mind is saved onto a highly improbably disc and dropped into a cup of tea–is the disc Lister? 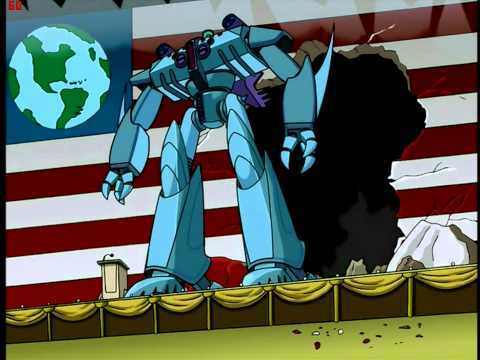 Is the war machine Nixon? Jumping ahead in the future a bit–this approaches my assignment topic at a bit of a tangent, in particular my investigation into fan fiction. In this situation, we have the mind of the original author; the original text; a character (if we can assume that the character is ‘greater than’ the text…which, it seems to me, is the premise that fan fiction is based on, although I won’t draw any conclusions yet…); the mind of the ff author; the text that the ff author writes; the reception of that text by others with intricate knowledge of the first three. Are they all separate entities, or do they all work to create a transtemporal posthuman…? Anyone remember this one from nearly twenty years ago? The Net wasn’t exactly the mind control of Sight, but made good use of the term ‘identity theft’ to generally freak people out. In this case, it seemed to be a combination of the idea that the web is a cache of personal information for The Man with the more provocative notion that it opens up the risk of actually losing one’s real identity by participating in a virtual environment.